OrderYOYO was founded on the idea of helping restaurant owners get direct orders on their own system with no middleman. One day, one of the founders, Thor Angelo, realized that 90 % of the customers in his local takeaway was returning customers. He investigated this more and through extensive research, he realized that this was the case for almost all local takeaways and restaurants. Most of them were using expensive third-party systems, such as food portals, for all their online orders.  OrderYOYO was founded in 2014 and started creating apps and websites for local restaurants in order for them to have their own online ordering system. With their own system, the restaurants are in control of their own business and save time and money. It ensures a more efficient business and higher profits for the restaurants. Today, OrderYOYO has more than 100 employees and offers their services in UK, Ireland, Denmark and Germany.